Our community is growing, and street-based community outreach is a vital way that we build our power and our membership. For a taste of why it’s so important, check out this awesome short video from our Outreach group – and read on below to find out how you can get involved! 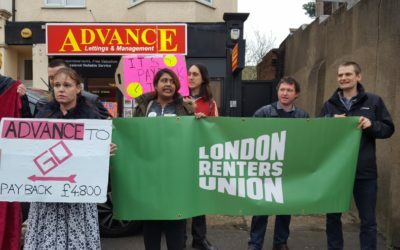 Having launched city-wide in summer of 2018, the London Renters Union now has 3 thriving local branches – in Hackney, Lewisham, and Newham & Leytonstone – and nearly 1,200 total members. We want to thank everyone who came out and helped build our branches last year – look what you’ve helped create! Fill out the form at the bottom of this page to register for our outreach training on Sunday 14th 11-1pm, 97 Aldworth Rd, Stratford, London E15 4DN. 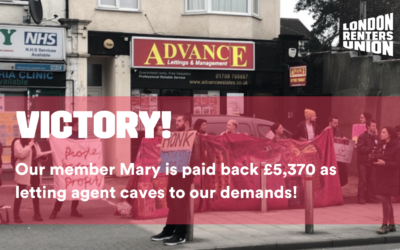 Together we’ve scored some big victories for our members: supporting each other to push for vital repairs to our homes, helping people get rehoused, and collectively resisting evictions. We’ve also pushed for big changes to the housing system through our campaigning, forcing banks to tackle DSS discrimination and pushing councils to support an end to unfair evictions. This has all been possible through the collective organising and action of our members. 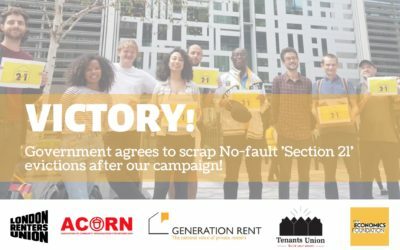 The more we grow and build an active membership that represents London’s renters, the more power we have to build on these victories. Community outreach is a powerful way to do this. Since the start of 2018 we have been hitting the streets, knocking on doors and handing out flyers, hearing about fellow renters’ experiences and explaining how a fighting union can support them with their housing issues. Come and help us grow! Our branches run regular door-knocking and street stalls which are a great chance to meet fellow union members, chat to other renters and build confidence talking about housing issues. Sunday 14th 11-1pm, 97 Aldworth Rd, Stratford, London E15 4DN. Register for the training sign up for future outreach sessions in your nearest branch using the form below. There is power in a union! Help us unite London’s three million renters and transform the housing system!